Denmark is considered to be leading destination for migrants, especially for skilled immigrants. The country offers overseas employees better career prospects and high standard life through Denmark immigration. A large number of people from across the globe prefer to migrate to Denmark with Denmark Green Card. 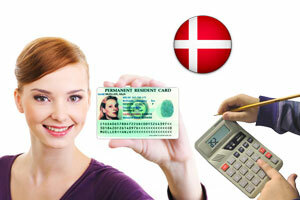 The Denmark Green Card scheme is the special scheme introduced by the Danish government for the overseas nationals. Denmark Green Card Scheme enables overseas individuals to reside and work in Denmark if they could score sufficient points depending on the criteria such as age, education, work experience, language skills and Adaptability. The Danish embassy follows Denmark Green Card point’s calculator to assess the applicants’ eligibility for settling in Denmark under the green card scheme. Immigration to Denmark from India or other nations under the Green Card scheme is a points’ based system where an individuals’ must score at least 100 points in their professional and personal aspects such as age, education, work experience, language skills and adaptability. Overseas individuals are permitted to stay and work in Denmark for three years. The points awarded for the applicants vary for each aspect. However, applicants need to meet the necessary Denmark immigration eligibility criteria to file a Denmark Green Card Application form. The availability of labour scarcities in the country allures people to migrate to Denmark for seeking employment. Applicants would be issued with a short-term residence permit for three years, and at the end of the period, they can apply for visa extension for one year. Before the end of this period, they can apply for further visa extension up to 4 years. Residence permit could be extended if applicants have employed for the past one year for at least ten hours in a week. Denmark immigration through Denmark Green Card entitles an applicant to obtain PR status in 7 years of Denmark immigration. Family members of Denmark Green Card holder can also accompany the main applicant in Denmark. Thank you so much for the post now, I gathered very good knowledge on Denmark Green Card Points Calculator.